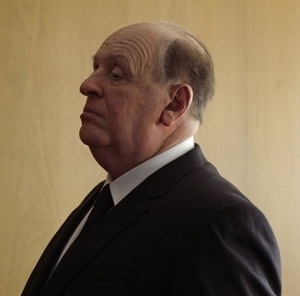 A recently released promo picture of Hopkins in the title role of the upcoming Hitchcock biopic (2013). The film, which chronicles the making of Psycho, also stars Helen Mirren as Hitchcock’s wife Alma, and Scarlett Johansson as Psycho star Janet Leigh. Posted in Misc and tagged biopic, psycho at 9:45 am on April 21, 2012 by Broadsheet.